OLD TOWN — James W. Sewall Company has announced that Finn Bondeson has joined the firm’s engineering group as Civil Staff Engineer. 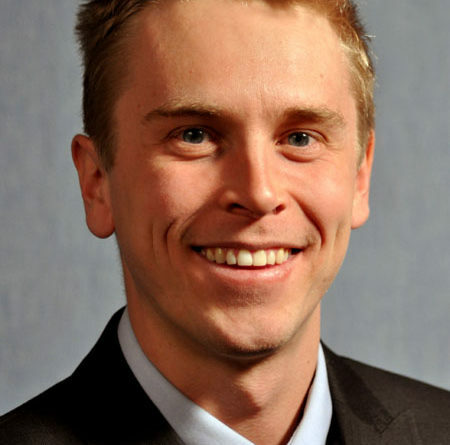 Bondeson is a 2014 graduate of the University of Maine’s College of Engineering, and received its Top Scholar Award. As an undergraduate at UMaine, Bondeson worked as a research assistant in potato genetics at the University’s Cooperative Extension. During the summers, he served as a full-time paid intern, first in the environmental department at Civil Engineering Services, Inc., and later at Stantec Consulting, Inc., where he inspected and revised engineering drawings for aviation infrastructure projects, inspected construction, and updated permits for airport improvement projects. An Aroostook County native, Bondeson also labored on his family’s organic farm, managing the fall potato harvest crew, and caring for annual and perennial flowering plants, trees, and shrubs in its gardens and greenhouses. During the past several years, he took time off from the professional arena to work in the service industries in Jackson, Wyoming, and environs, until his love of Maine called him back. Bondeson works out of Sewall’s Old Town, Maine office. He can be reached at (207) 817-5450 | finn.bondeson@sewall.com. Founded in 1880, Sewall specializes in natural resources, energy, and infrastructure, with 138 years’ experience in civil engineering, surveying, and forestry consulting; 70 years’ in remote sensing; and 35 years’ in GIS and application development. For further information, please visit www.sewall.com, or call Brett Hart, PE, at (207) 817-5455 | brett.hart@sewall.com.